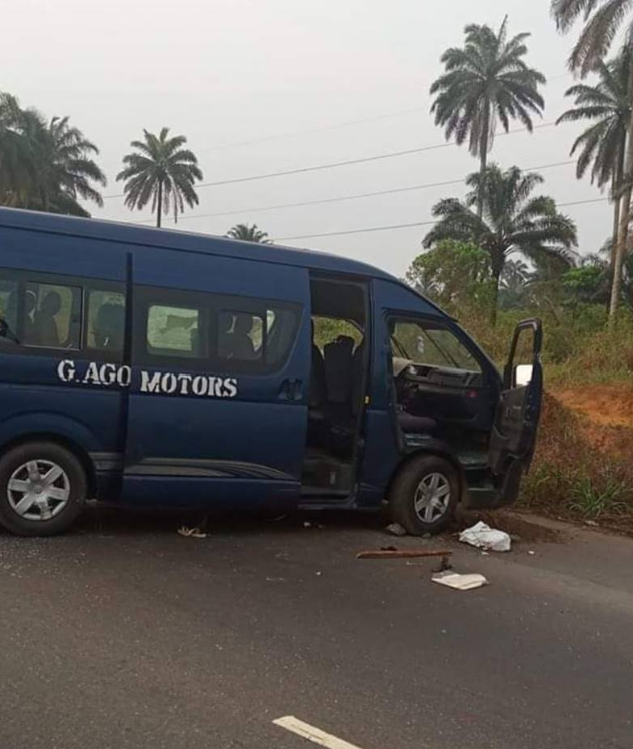 The River State Police has confirmed the killing of a driver of a 15 seater loaded commercial bus belonging to Godwin Agofure Motors, by unidentified gunmen who also abducted some of the passengers at Elele in Rivers state. It was gathered that the passengers were kidnapped by the gunmen after killing the driver, but released only a lady with an injured leg. About 12 passengers were reportedly kidnapped. A commuter on the Elele – Port Harcourt stretch of the East West Road where the incident occurred narrated that, “It didn’t happen far from Elele Junction. “They were apparently the usual robbers and kidnappers who have again made the Elele-Emohua stretch of the East West Road a daily nightmare for drivers and travellers. “They came from the bush at about 9am on to the road and shot the driver when he refused to stop. They pursued the driver as he struggled to escape before he gave up along the road. “Incidentally the hoodlums got to where he was able to drag the loaded bus with the gunshots and they disappeared when they realised the driver had died. The Agofure bus was travelling from Ughelli in Delta to Port-Harcourt, Rivers state capital.